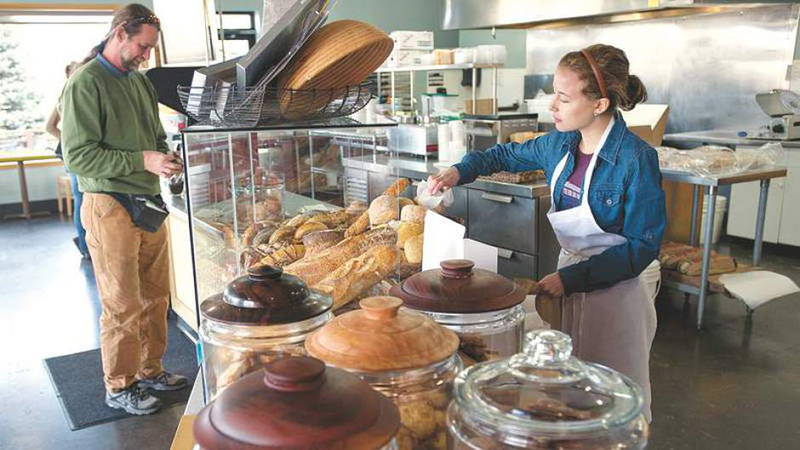 Located on Bend’s west side off of SW Century Drive, The Village Baker has been locally owned and operated since 1997, baking wonderful Old World breads and handmade pastries. Breads from Striata to Parmesan Black Pepper Breadsticks are baked daily. Check online for their daily specialty bread schedule. Pastries range from breakfast fare such as Cinnamon Hives and Cardamom Brioche to specialty holiday cookies and other sweets, including Shortbread. Serving their own granolas, bagels, salads and soups with a pandura of your choice, and a range of sandwiches from the Garden Vegetable to their Turkey Too on your choice of bread, they also offer a kid’s size and half sandwiches. Call ahead and get them to go, along with Take-and-Bake items such as galette and raspberry crumb cake from their freezer to your oven. Open daily from 7:00 a.m. – 4:00 p.m. Can’t make it to the bakery on time? Their daily baked rustic breads are carried in a number of area shops, including Newport Market in Bend, Melvin’s in Sisters, and Farmer John’s Produce in Tumalo.